Through over a decade of consulting and systems integration services to utilities worldwide using CIM standards and semantic-driven approach as the foundation, Xtensible Solutions has matured an approach that will guarantee the success of its implementation over the long term. It is a multi-faceted and multi-tiered approach that can be tailored to each utility’s specific requirements and organizational structure. This role helps a utility establish and deliver a consistent enterprise approach for integration and data management using applicable standards and best practices. Throughout our service engagements involving system integration or fulfilling the system integrator role, this is the approach we keep at the forefront. More and more companies are being valued not just on tangible assets and revenue, but also on intangible assets, which include IT infrastructure, architecture, application functionality, process management and business agility. A loosely coupled, componentized architecture is a key building block for achieving this. 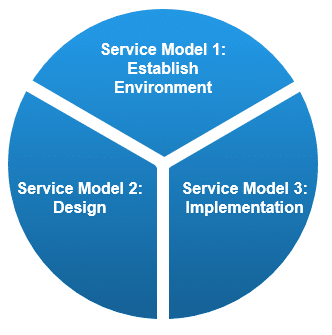 TADA services will enable architecturally coherent components to be implemented at different times by different projects. Improves the flexibility and scalability of IT integration and data management to support future business needs. Establish the standards-based, semantic driven enterprise integration and data management methodology, reference architecture, toolsets, governance and quality assurance capabilities. Perform cross-project technical architecture & design activities and ensure consistent approach is applied across projects. Engage with projects to perform technical analysis, design & assurance activities and be responsible for the related deliverables.